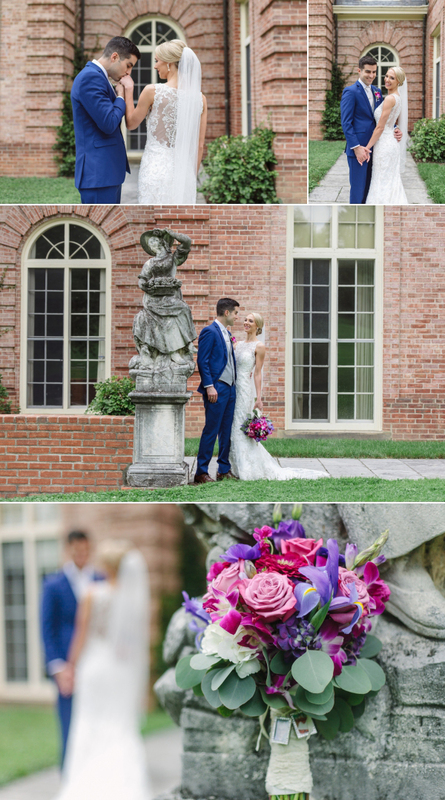 Chelsey and Michael’s wedding was spectacular in every sense of the word, complete with a vibrant fuschia sunset the evening of their wedding at the Kingwood Center Gardens in Mansfield, about an hours drive from Columbus, OH. During the day, the sky had a thick layer of clouds, just perfect for shooting an outdoor wedding. The clouds turned the entire setting a giant softbox, lit to perfection. I met up with Chelsey and the girls at a quaint little Airbnb not too far from the gardens. The multiple rooms were just buzzing when I arrived. Each bridesmaid had been given their own super cute robe to wear and personalized thermos to drink from. We traveled to Kingwood for Chelsey to put her dress on in a small private room with just her mom. The back of her dress was showstopping with lots of delicate buttons- perfect for photographing. 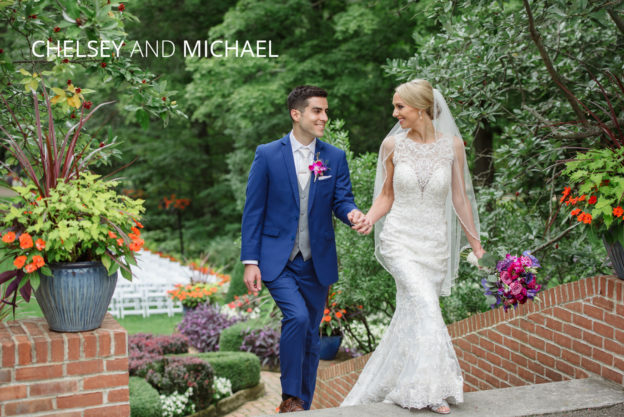 Chelsey and Michael did their “first look” out on the back steps of the estate. Never was there a more romantic first look location. Just the site of her walking out the door towards him pretty much took my breath away. I’m not going to lie, holding an outdoor wedding in Ohio can be a little stress-inducing. But if the weather shows up as it did on this late September day, it will bowl you over with beauty. Look at their ceremony pictures, guys! That’s real! That’s not a movie set. I guess what I’m trying to say is I want to shoot all the Kingwood Garden weddings, with one caveat. The couple has to be as cool and laid back as these two. 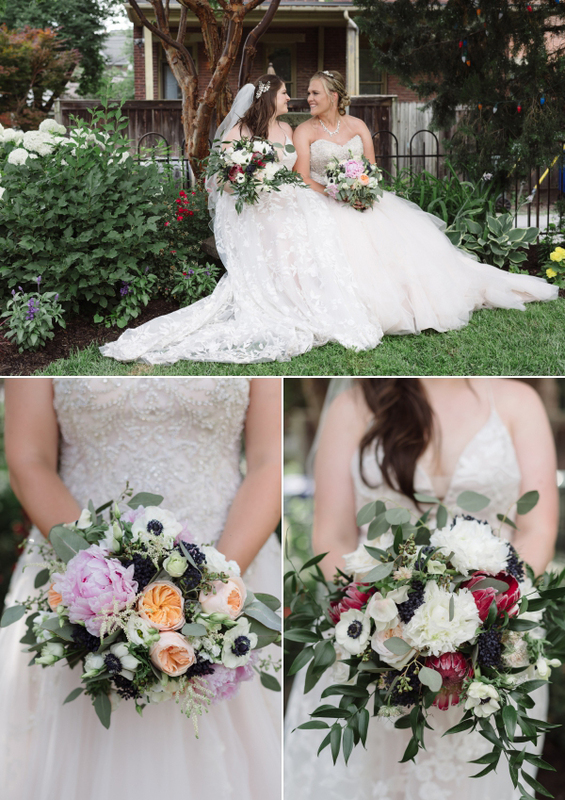 After their ceremony, we slowly walked over to their reception and shot some more heart-achingly gorgeous photos of them both together, freshly married. As we made our way over, the sky decided to treat us with the most magnificent sunset I’ve ever seen! 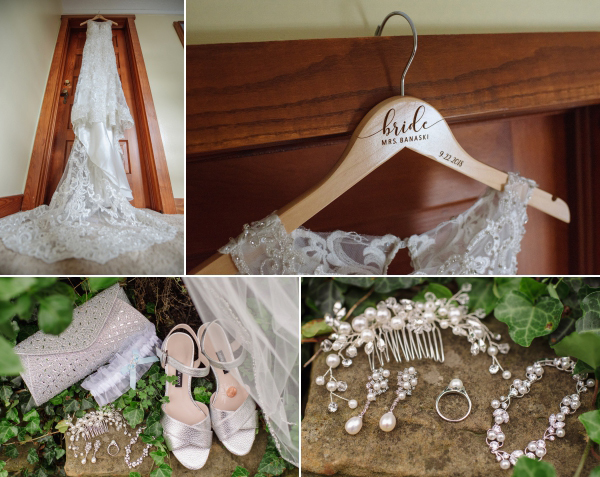 I’ve waited to blog this wedding for a very, very long time so I’m super excited for today when I get to share with you, drumroll, please… Carol and John’s wedding! Hanging out with these two gives me the same feeling as when my coffee kicks in. Pure, unadulterated joy. We started our day with a first look on the patio of the Vue in the Brewery District of downtown Columbus. John was so excited to see Carole. As he was waiting for her, he was staring at one of the potted plants in front of him nervous and anxious to give his bride a hug! When he finally got to see her, he explained to her how he’ll never forget that plant and how much it means to him now. Lol! We hopped on a bus and went to Schiller Park for some enchanting and magical photos. I’ve honestly never laughed so much on a shoot before. You’ll see why. I adore people who don’t take themselves too seriously- especially on their wedding day! 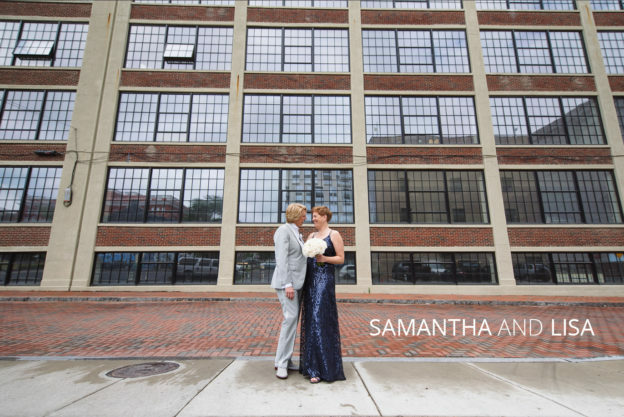 From there we utilized some rustic Columbus spots for more photos before we headed back. The green bridesmaid dresses were so striking. 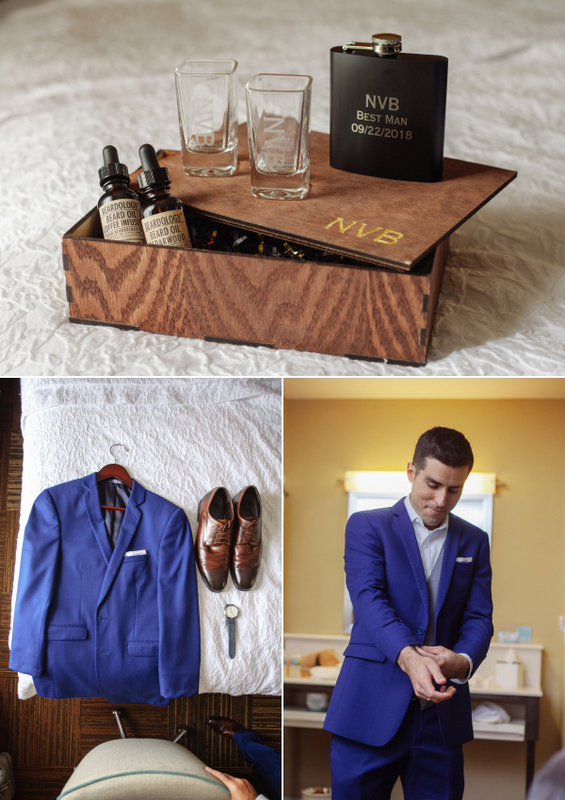 I truly wish more weddings utilized this color! Their ceremony inside the Vue was filled with laughter and tears of joy. The setting was striking with its natural light and soaring ceilings. Immediately after the ceremony, Carole and John spent a few minutes together on the back patio with just each other. I was so glad to see them taking the time to do that because the party that followed was a throw-down whirlwind!!! Awesome speeches, a Dairy Queen ice cream cart, and some incredible dance moves were just a little of what made this party so memorable. I couldn’t be more happy for two people and thank the universe all the time for letting us cross paths! Carly and Alexxa met me out on a late September afternoon with their beautiful baby Coby. For me, it was an hour that went by too quickly. It had been a few years since I had seen Carly. Quite honestly, I’ve been avoiding writing this blog for the same reason I delayed writing about my friend Nicole’s wedding. I don’t want to sound like a creeper. But a superficially written blog won’t due for these two. So at the risk of sounding like a super fangirl, here it goes. I met Carly working at a local production house here in Columbus over 5 years ago? I don’t know- time is more of a theoretical thing for me anymore. She was fresh out of college and super young, however, I’m at the age where I feel like most people are super young. What struck me about her right off the bat is how mature and true to herself she was. Those are two qualities it took me years and becoming a parent to accomplish. On her first day of work, Alexxa had sent her a huge bouquet of flowers. I remember everyone was pretty impressed by that. She had told me the story of how they met online very randomly and ever since had been inseparable. When I met Alexxa for the first time, I was struck by how similar these two are. They have a similar frame, same length and color of hair… same soft way of giggling at each other. They “look” like a couple. One time my husband and I did a face-swap and you couldn’t tell the difference (freaky to say the least). There’s a photo of my parents when they were in their 20s. They looked alike as well. You get it- sometimes you look like your spouse. Fast forward maybe a year after meeting these two. Carly and Alexxa adopted their beautiful fur-baby Coby. We always bonded over our love of our dogs. My boy Rugby was my fur baby until I had human babies. Now sometimes I struggle to remember his name, LOL. I can say with 100% certainty that there has never been a more beloved puppers than Coby. I love when their Insata stories pop up- I always get to see some ridiculously cute photos or videos of Coby. * Rugby earmuffs for what I’m about to say* Coby might be the cutest dog I’ve ever seen. Throughout the rest of my time working alongside Carly, I found her to be an incredibly talented graphic designer, patient with all kinds of personalities, laid back and super funny. It’s hard not to respect and admire her. 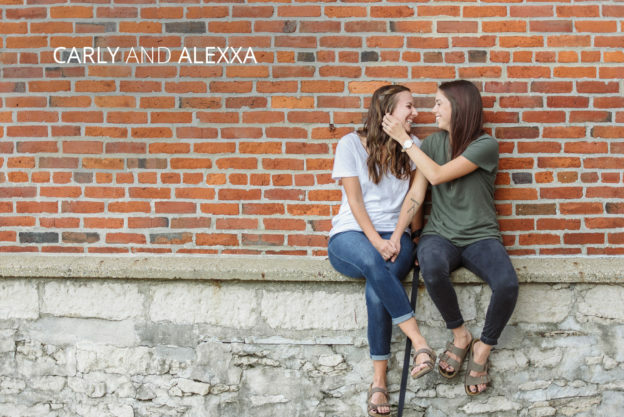 So when she and Alexxa asked if I’d be their wedding photographer, I was beyond-words excited. I am so happy for these two as they tie the knot later this year. 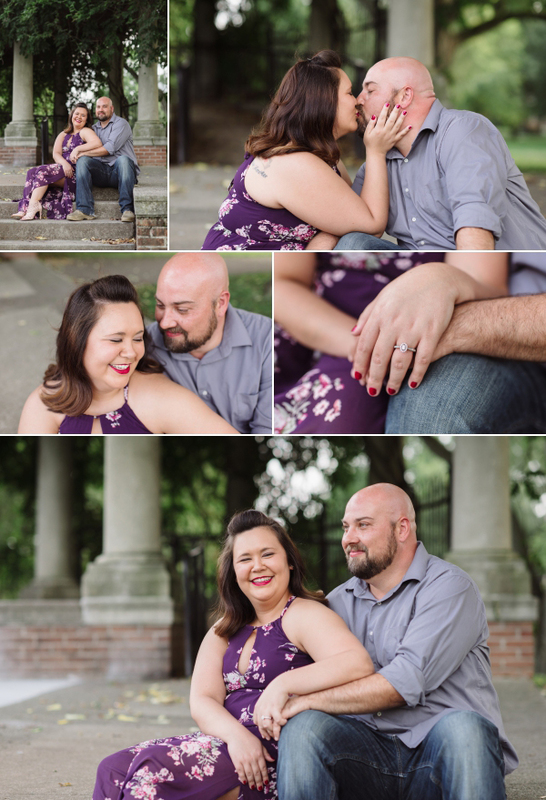 Until then, check out their engagement shoot. Their love for each other is palpable and extremely easy to photograph! 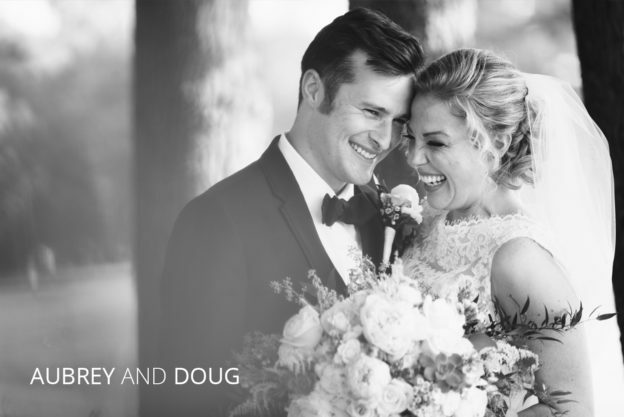 So honored to have Doug and Aubrey’s wedding published on Let’s Bee Together earlier in 2018! Click here to check it out along with a beautiful writeup from Aubrey herself! 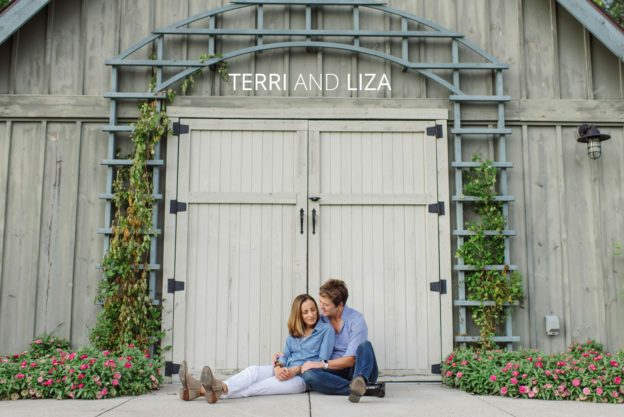 One of the things I love most about being around Terri and Liza is they act like a new couple even though they’ve been together for years. Both of their faces just light up when they see each other. To have such a palpable love I think is pretty rare. It also made photographing them extremely easy. Hey guys! Jess here, straight off my triple-header weekend. Between Friday and Sunday, I took well over 10,000 photos. I’d say I have some homework cut out for myself! 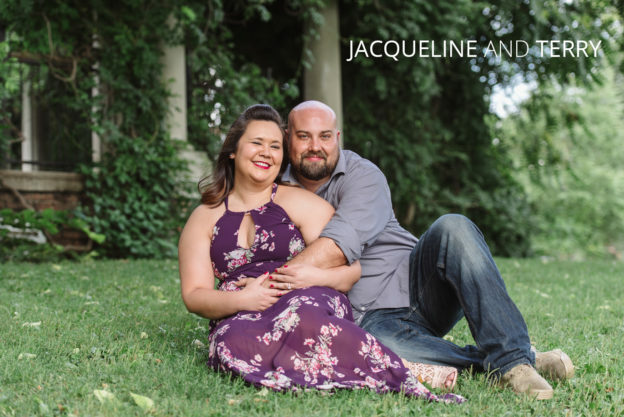 Today I want to share Jackie and Terry’s engagement shoot! The moment Jackie stepped out of the car she took my breath away in her stunning flowy purple dress and fantastic red lipstick! I love women who aren’t afraid of a little color, especially on photo day! Terry has lived all over the country and moved a lot in his life. I asked him how he liked Columbus, and his answer was just perfect. He said something to the effect of, “Of course I love it- I met the love of my life here.” AWE!!! We did most of the shoot in German Village, a very eclectic part of town. During our shoot, we met a guy who couldn’t find where he parked his car the night before (no comment). We also met an older lady who made Terry try and fix her flower box because he was tall enough to reach it. People in Columbus are so like that- there just aren’t any strangers, LOL. Needless to say, we were making memories all over the place but one this is for sure: The weather was amazing and these two worked that camera to no end! I just love their bright and colorful collection. I can’t wait for their beach themed wedding! My job often has twists and turns. Sometimes I’m not even sure where I’m going to be the next weekend. Karen and Jay booked me less than a week out from their wedding. I was excited, to say the least, but I also had no idea how much fun I was about to have at this wedding. When I walked in, Karen and Jay were in the same room putting together bouquets for their wedding day. After a few minutes of this, Karen rushed Jay out the door to go get ready. As I photographed her dress, different family members came in to visit her and see how she was. Her daughter carried her dress into the bathroom and helped her get dressed. Weddings are such a whirlwind. Karen had been dealing with so many little details from the day, it didn’t leave her much time to get ready, but Karen was nothing but jokes, laughs and smiles as everyone rushed about. Finally, with her dress on, she was flawless and it was time to tie the knot. 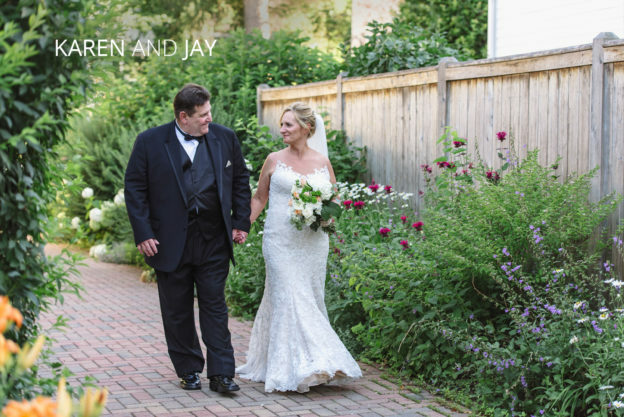 On a sunny and hot July evening, Jay and Karen exchanged vows in the outdoor courtyard of the Granville Inn. I have been to over 250 weddings, and I had never seen this before: the minister allowed for people to individually stand up and “bless” them with something, such as patience, peace, etc. It was so special and meaningful. From the ceremony, just the three of us walked a bit around Granville. That day there happened to be an outdoor carnival. Karen and Jay immediately lit up and decided we had to stop there for some fun photos. I totally felt like a little kid again. These two are incredible in every way. At the reception, I asked Jay about Karen and how they met. He said he was tired of the dating scene because it was usually very superficial. When he met Karen, he was immediately drawn to how spiritual she was. It was her authenticity and devotion to God and him that he fell in love with. I can see why. She has an electric personality and I wish these two endless years of carnivals, dancing in the street together, and an unending love that grows with time. 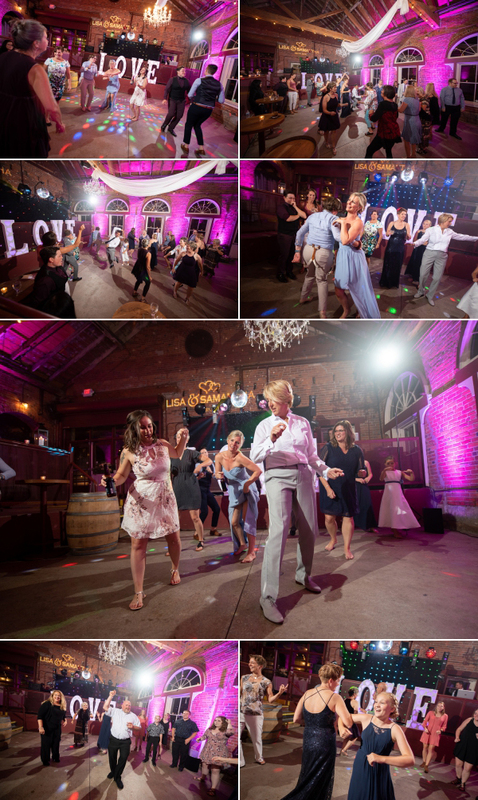 I think the single biggest gift being a wedding photographer has given me has been reconnecting with people from my past on such a loving an important day as their wedding. 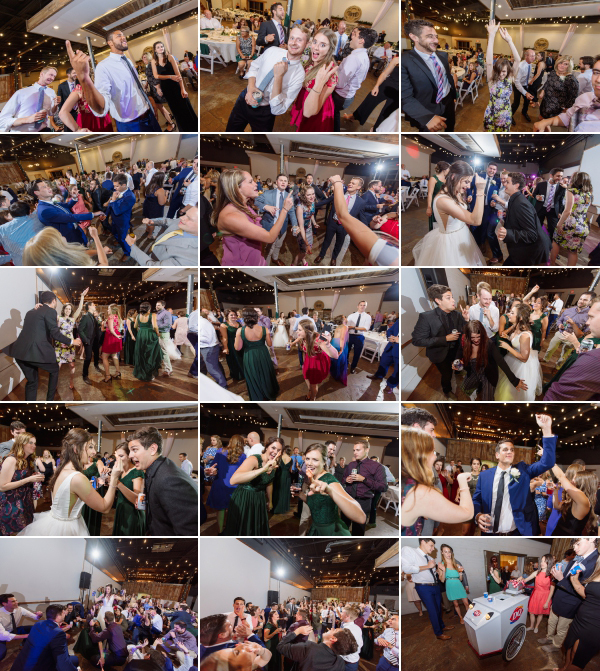 I have photographed the weddings and special moments for people I’ve gone to high school with, people that I’ve gone to college with, people I’ve gone to graduate school with and people that I’ve met in while living in other cities. 17 years ago I was lucky enough to find myself working at ACCAD as a summer counselor for a women in technology program. Little did I know that program would change my life probably more than it changed any of the other girls attending the week-long camp. The other counselors became lifelong mentors to me and women that I continue to look up to and aspire to be. One of those women is Samantha. When she contacted me about her wedding day, to say I was honored would be an understatement. We FaceTimed together where I got to both meet her fiancé Lisa and start the ball rolling on planning their romantic Via Vecchia wedding. Fast forward to their wedding day. It’s not often I get choked up on a wedding day, but when Samantha walked into the room with a blue sequined dress, I kinda lost it a little. She was so radiant. A little later, I was able to meet Lisa in-person for the first time in her suite down the hallway at the downtown Westin. It had felt like I had known her for years. Her brother and best friend were hanging out in the room with her and they had such great senses of humor, I immediately felt a connection with them all. 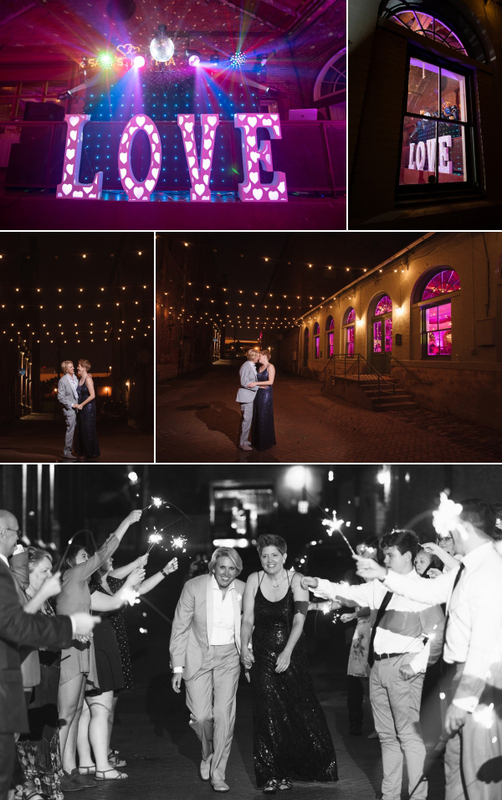 Lisa and Sam wanted so badly to get married in the alley at Via Vecchia, but the universe had other plans for them. It not only rained, but it down-poured to the point it was testing the capacity of the gutters. 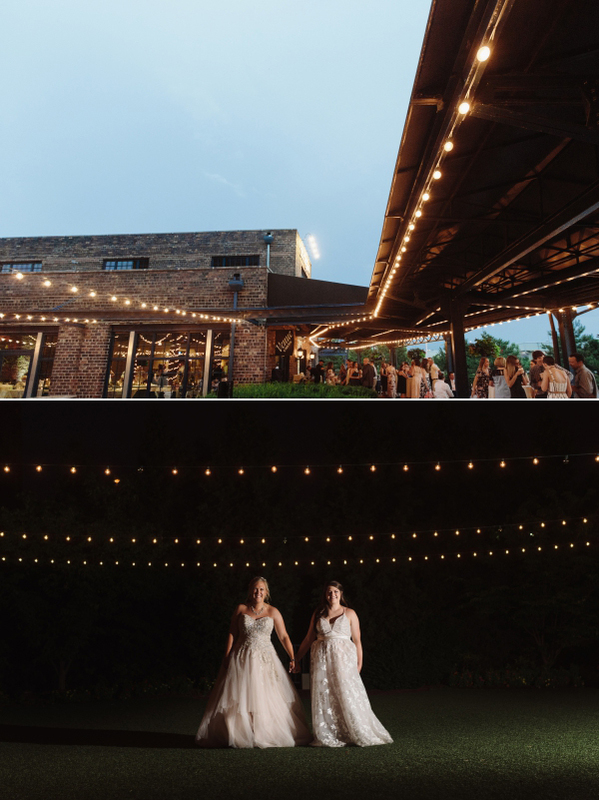 The entire ceremony setup was moved indoors at the last minute thanks to Via Vecchia owner, Michael, and Lisa and Sam’s friends and family. Let me tell you- it looked so amazing. I couldn’t get enough of the hot-pink uplighting. It ended up being the ceremony with the biggest visual cool-factor of the year. I know it wasn’t what they had envisioned, but it was just perfect. When I think back to this wedding, I still think it was a wonderful dream. Everything from start to finish was so beautiful, laid-back, and genuine. Kaila and Brittany started their day getting their hair and make-up done in the same room. They then separated into two different rooms to put on their dresses for their first look. 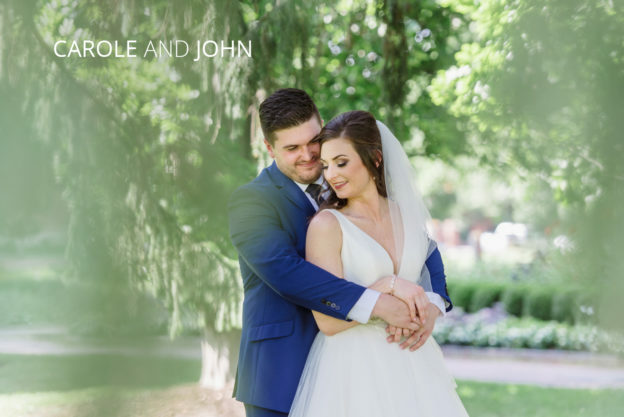 We did their first look in the heart of German Village on hot but beautiful June day. Both of their dresses were a pale blush color and very similar as far as the cut. The details, however, were very different and so striking on each of them. Their two dresses together were so breathtaking and all my second shooter and I could say was, “two dresses are so much better than one!” After a few shots on the streets of German Village, we headed over to Schiller Park. 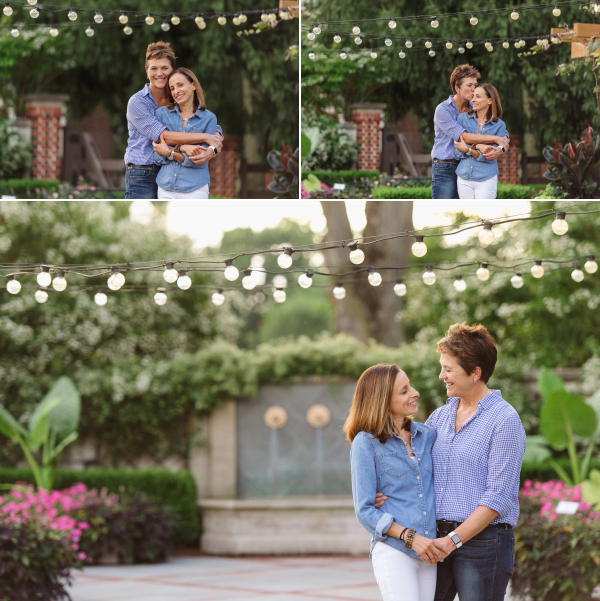 The beautiful park mixed with these two gorgeous ladies made for some seriously romantic photos. Now it was time to go get married! 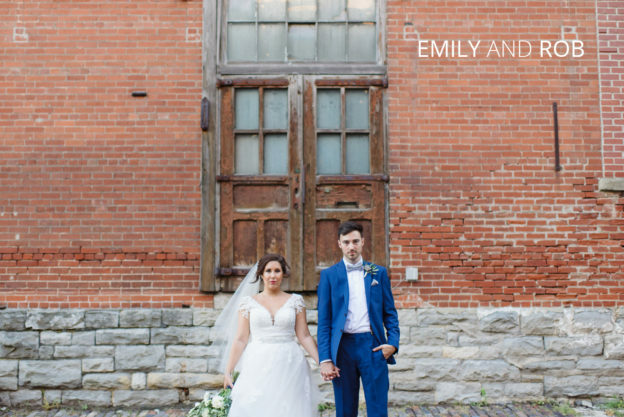 The outdoor ceremony took place in Frank Fetch Park in the heart of German Village. The park had a small fountain that provided a warm ambient background noise. Each bride was escorted in by their immediate family up to a central arbor. They had their neighbor perform the ceremony and she read one of my favorite readings, “on marriage” by Kahlil Gibran. 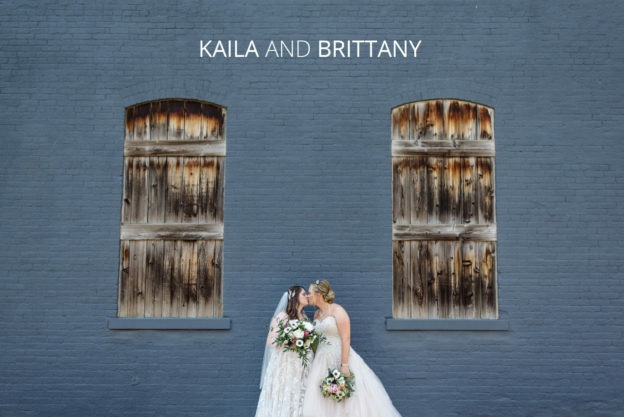 Vows were shared, tears were shed, and before you knew it, Kaila and Brittany were wife and wife!